5th Annual Westerleigh Folk Festival | STREETS OF NEW YORK 411 INC. The 5th Annual Westerleigh Folk Festival will take place on Saturday Sept. 22nd, 2012 from 11:00 am to 7:00 pm in Westerleigh Park, Staten Island, NY. Admission is FREE. This year’s event will feature 15 musical acts, an art exhibit by the South Shore Artists Group as well as handicrafts from local craftspeople. There will be free children’s activities such as face painting, balloons and pony rides. Among this year’s featured acts are popular folk duo The Kennedy’s, WNYC Greene Space , Battle of the Boroughs winner Joan Caddell & The Midnight Choir, Irish Harpist Mia Theodoratus & The NY Harp Ensemble , Irish step dancer Kevin Brown, Jim Indell, Allergic To B’s, Julia & Kacey, Tall Tall Trees, 2011 WestFest favorite The Daily Band and Morty Jacobi with Stan Jay, Norm Pedersen, Bob Conroy and Friends among others. 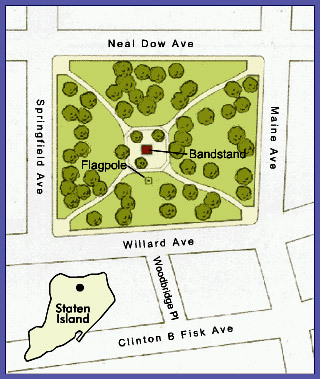 Westerleigh Park is located at the corners of Neal Dow & Maine Ave. off Jewett Ave. The park is handicap accessible . Street Parking is available. Park seating is limited so bring a chair or blanket and enjoy a great day in beautiful Westerleigh Park.